Spring has sprung, and when I get joyously happy about the weather, I generally want to grab a fun read that’s perfect for sun-lounging. Here are three books – in three different genres – that are ideal for a sunlit afternoon filled with rompy adventure and funtimes. Now when I describe these books as rompy, I mean it. These are NOT going to fulfill your need for the next literary classic or the best executed plots of a lifetime. Some belief will have to be suspended. Some eyes will be rolled. Some “smh” will be unleashed, but it’s okay! Because these are fun and free wheeling. You’ll like them, I promise. 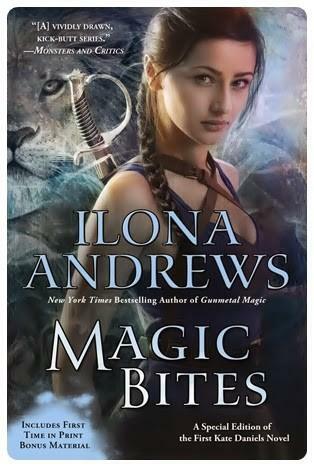 Firmly in the Urban Fantasy camp, Magic Bites is a rollicking read. Set in the not-too-distant future Atlanta, Magic is real; it has taken over, and tech only works periodically. Therefore, swords and guns are both practical tools for mercenary Kate Daniels. Filled with lesser known myths, gods, and magic systems, Magic Bites will start you on a journey with shifters, swordplay, and a badass heroine hiding in plain sight. If you’ve been bemoaning the lack of a good Hunger Games read-alike over the last few years, then oh boy, Red Rising is the book for you! Part uprising, part infiltration-scheme, part brutal Machiavellian games, the whole book feels like Ocean’s 11 or the Six of Crows: the perfect con, perfectly executed. In the highly stratified caste system on Mars, Reds are worked as slaves while Golds profit from their servitude.Darrow is recruited by the Sons of Ares when his life as a Red is ended and is remade into a Gold. He infiltrates the top echelon of their society and joins his “peers” at the Institute where he must succeed in order to bring down the system from the inside. Red Rising is an un-put-downable book. You’ll race through it at breakneck speed, hoping against hope that Darrow can pull off the greatest coup in Mars’ history. Another excellent thing about Red Rising? It’s a trilogy, and ALL THREE ARE PUBLISHED. There’s no waiting to find out what happens to Harry Potter Darrow; the whole space opera is ready for consumption. Think of those perfect Rom Com movies: When Harry Met Sally, Moonstruck, Sabrina. 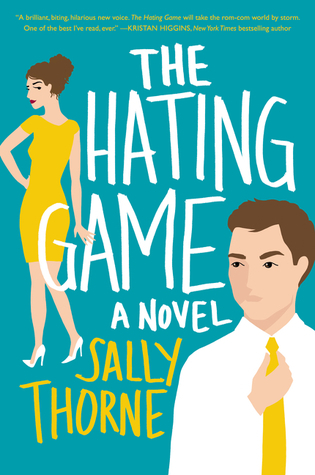 You can officially add, in book format, The Hating Game. Lucy and Joshua hate each other to the very depths of their souls, forever and ever. When they are both up for the same promotion at their publishing company, tension ramps up to an unbearable degree. Neither is willing to back down, and yet when a tense moment in an elevator bubbles over (cue eye roll), Lucy is left wondering if she ever hated Joshua at all, or if this is just another game to derail her from earning the big promotion. The sexual tension will have you gripping pages, and the downright cuteness of it all will make you want to binge watch all your Rom Com faves. Thorne’s use of metaphor and general wordsmithing will leave you in a rosy, rosy haze. It’s an old and sometimes overused romance trope, but The Hating Game may have you re-evaluating your hatred of the love-hate dichotomy. So there you have it. Three perfectly respectable rompy reads. Enjoy them! Enjoy the sunshine! Spring is in the air and good books abound! Challenge yourself to read something for fun! Brush off an old favorite or find something new. We’re always here to help you find the next rompy read just for you.